After releasing her Young & Reckless EP earlier this year, Ebony Joi is not letting up. The Philly songstress is back with her salacious little spin on one of the season’s most popular Christmas songs. 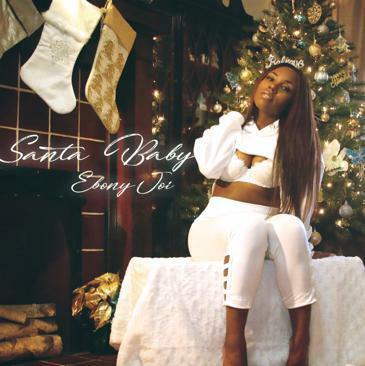 ‘Santa Baby.’ Joi teamed up with Adam Blackstone and WoW Jones for production. She says "I love Eartha Kitt, everything she stood for and her entire vibe, so we took a piece of that and added a little more hip hop to the r&b to make it ready just in time for Christmas."